If you're looking for a blog post to make your mouth water, boy have I got a treat in store for you! I recently visited Sheffield in order to watch the semi-final of the World Snooker Championship, which provided the perfect opportunity to explore a new city and check out some of its independent eateries. 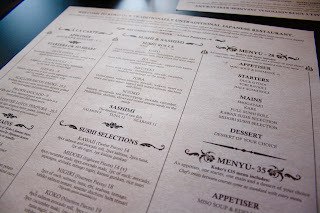 Top of my list was KOKO, a Japanese restaurant that promises a truly unique dining experience. 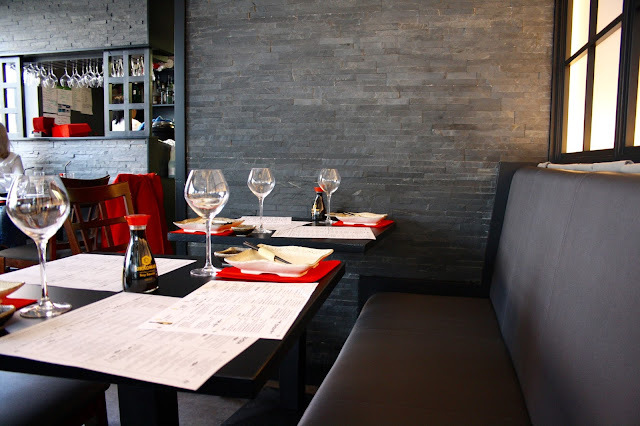 Their ethos is to incorporate Japanese cuisine with flavours and cooking styles from all over the world, providing an innovative taste experience. So, have they succeeded? Let's find out! When we pulled up at KOKO, I was really surprised at how small the restaurant is - there were only around ten tables! The decor was immaculate and minimalist, with a red and black theme running throughout. There were some classy modern twists on traditional Japanese decor, including lanterns and bamboo panelling. Everything was spotlessly clean and the small dining area had a very warm and friendly atmosphere with loads of other smiling customers! 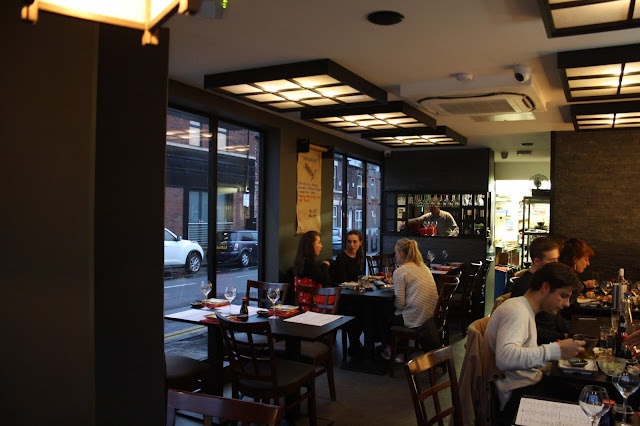 KOKO is located on Eccleshall Road, a short distance from the centre of Sheffield, it took us just 10 minutes in a taxi to reach the restaurant from our hotel in the heart of the city. After perusing KOKO's extensive selection and really struggling to choose our dishes, Chris and I opted for the restaurant's four-course set menu. 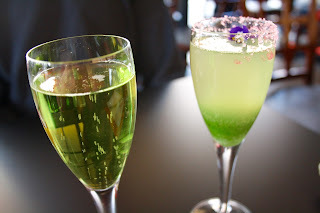 We kicked off with a glass of vibrant green Midori Prosecco for me and a cocktail for Chris. Our appetiser of Miso Soup and Edamame Peas was first to arrive. 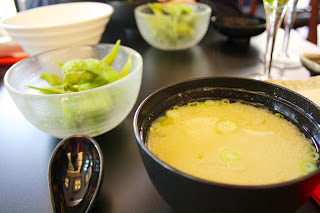 I have tried Miso Soup before and was distinctly underwhelmed, but this was not the case at KOKO! The soup was lightly textured and made with flavourful stock, with finely chopped spring onions and succulent tofu pieces, meaning that I drained my bowl of its very last drops! 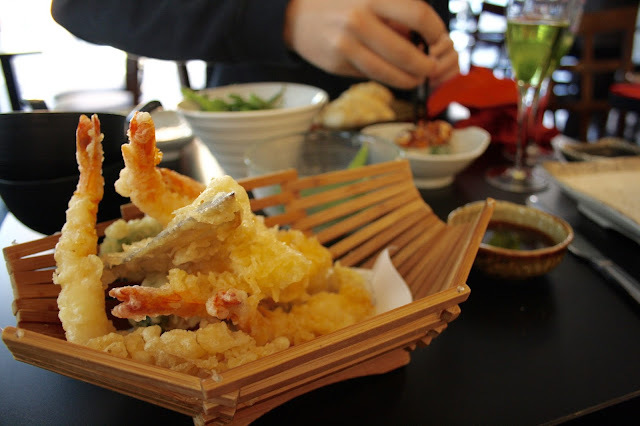 Our bowls were whisked away and replaced with our starters: duck gyoza for Chris and prawn and lobster tempura for me. Both of us were incredibly impressed at the lightness of these dishes; the prawns broke apart and melted in the mouth, the batter was fluffy and had a delicate consistency. Everything was served piping hot and a lot of effort had clearly gone into the beautiful presentation. 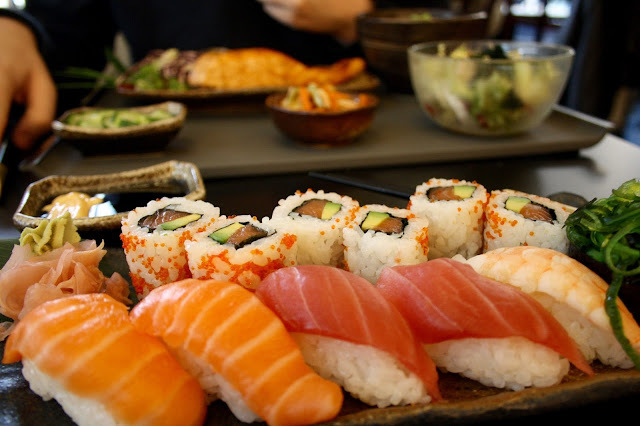 For the main course, my fish marathon continued with the Kawaii sushi selection, which included six salmon and avocado rolls, two pieces of tuna and salmon, one shrimp, and one kaisou gunkan. The quality of the fish was top-notch and the portion size was incredible! You will certainly never leave KOKO feeling hungry. I really enjoyed the variety included on the plate. The warmth of the perfectly-cooked rice contrasted beautifully with the cold fish, meaning that each bite was textured and moreish. Chris also went down the fish route with a salmon fillet, grilled in butter garlic sauce with black pepper, paired with thin rice noodles. The fish flaked perfectly when touched with the fork. Chris's only negative comment was that the noodles could have been more flavoursome. Now for dessert! Before I'd even arrived at KOKO, I knew exactly what I wanted for pudding. That dark chocolate, whiskey, and coffee mousse had my name written all over it. 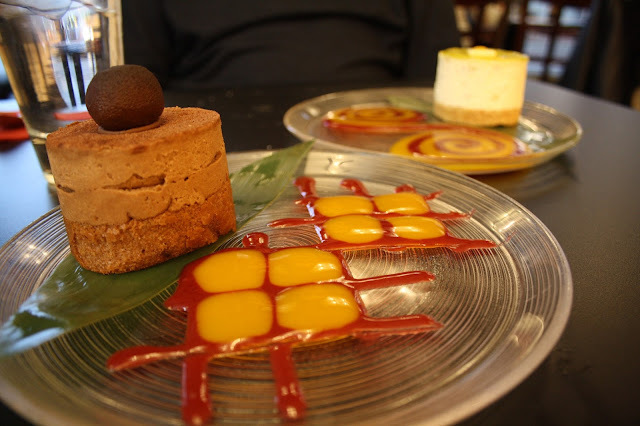 And I definitely wasn't disappointed, the mousse was rich but served in the perfect portion which allowed you to enjoy the flavour without being overwhelmed. Chris chose the white chocolate and pistachio cheesecake, which was whipped to a gorgeous airy consistency and flavoured with the perfect amount of nuts. A word has to be said about the very friendly, welcoming, and attentive staff at KOKO. From the moment we stepped through the door, we were made to feel very much at home by manager Neil. The speed of service was brisk, and we were never left waiting long between courses. An extra special selection of chef's treats were served to us in between every course, which proved to be incredibly tasty morsels: gyoza and sushi rolls. I can't imagine how complex a task it would be for the kitchen and the waiting staff to keep on top of all of these elements whilst still providing service with a smile, so I take my hat off to the incredible team at work at KOKO! 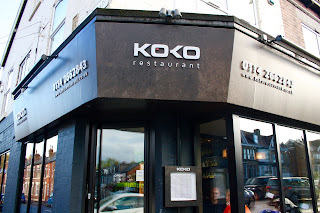 I thoroughly enjoyed my visit to KOKO and I would highly recommend the restaurant to anybody visiting the Sheffield area! A huge thank you goes out to Stuart, Neil, and the team for making our visit so memorable. 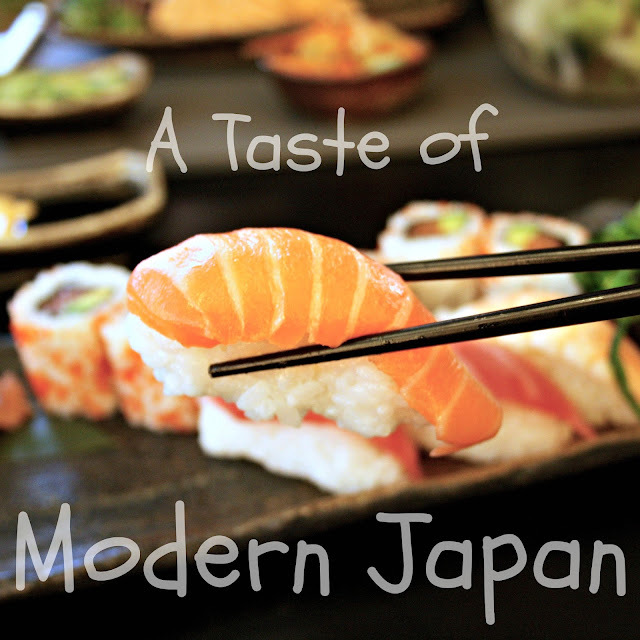 Are you a fan of Japanese food? What are your favourite dishes? Share with me in the comments below! * Disclaimer: This meal was provided for free c/o KOKO Sheffield in exchange for an honest review.